Play on daily basis and earn the chance to score big, outside of the game! 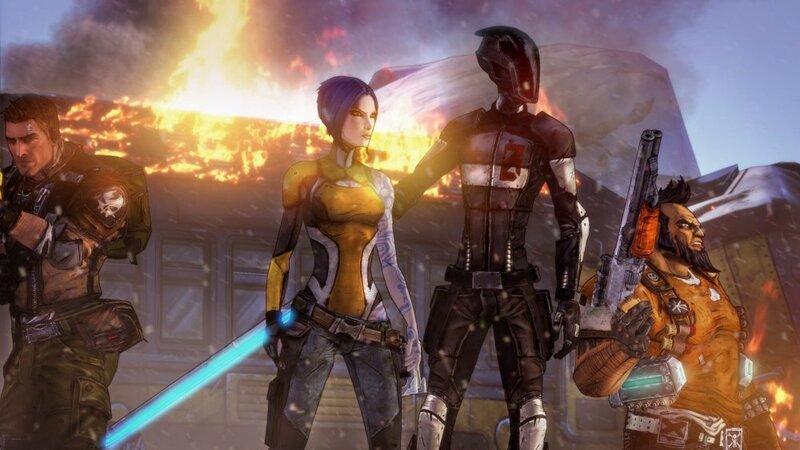 Borderlands 2 is all about hunting for the best loot and leveling up your in-game characters. But what if there was a real life loot hunt that only players of Borderlands 2 could score? Gearbox has been keeping Borderlands fans coming back many months after the game’s release with DLC campaigns, new characters, level cap increases, and other promotional events. This time around, they’ve announced a huge, real-world cash prizes to those that play their game starting tomorrow. On Friday, October 11th, Gearbox will be initiating the Borderlands 2 $100K Loot Hunt Sweepstakes, allowing players the chance to win big prizes, all amounting to $100,000 of real world currency! To begin, players will need to sign up for the event on their Shift accounts, boot up Borderlands 2, and then partake in the new “Community Goals” and “Daily Targets” Gearbox will put in place. “Community Goals” challenges involve players killing off a designated enemy with a specifically stated gun. At the end of the week, a Community Reward will be unlocked for every participant at the end of the week, depending on the amount of enthusiasm from the gaming community. Since this is called the “Community Goals” challenge, the community as a whole will be responsible for the end result. So grab your buddies, friends of friends, and tell everyone you know to participate to receive the best results possible! Unfortunately, we’re sad to hear that only U.S. gamers will be able to win these prizes and money grabs. However, that doesn’t mean anyone internationally can’t participate in the Loot Hunt event. All “Community Goals” challenges will still be available to be played and will grant in-game rewards to those that participate. Anyone who’s interested in participating in the Borderlands 2 Loot Hunt will need sign up using their Shift accounts here, beginning tomorrow. Happy hunting!